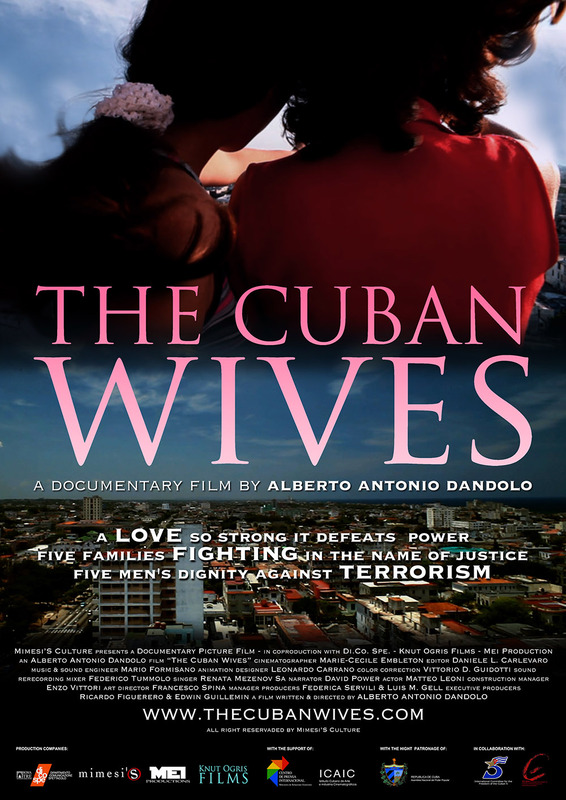 The Cuban Wives reveals the compelling and tragic story of the five Cuban intelligence agents who were arrested in the United States in 1998. Their crime: an attempt to protect their country from the terrorist attacks of paramilitary organizations operating from Miami. 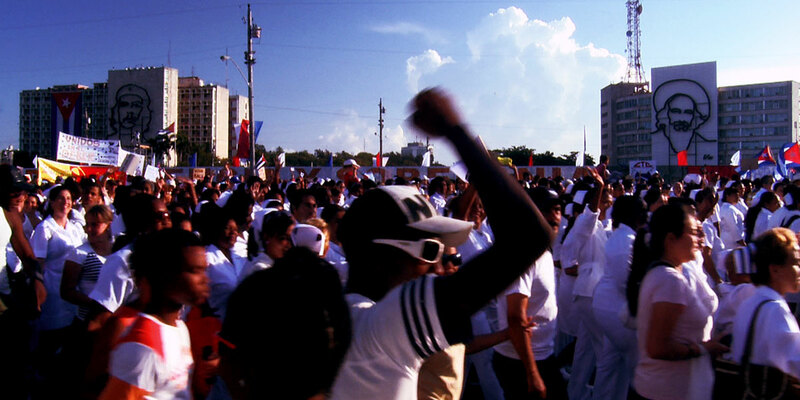 With the recent release of the “the Cuban five” by the government of President Obama as a sign of the restoration of diplomatic relations between both countries, it is important now more than ever to take a look at this thorough and captivating documentary in order to understand the relationship between the U.S. and Cuba. Engaging experts in law (José Pertierra – Attorney representing Venezuela in the trial for the extradition of Luis Posada Carriles), politicians (Wayne Smith – Chief of Mission head of the U.S. Interests Section in Havana from ’79 to ’82 / Ricardo Alarcon – Former President of the Assembly of People’s Power of Cuba), journalist (Gloria La Riva – Coordinator of the National Committee to Free the Cuban Five, USA) and theologians (Frei Betto – Brazilian writer and theologist), The Cuban Wives explore the cases with unprecedented insight. The documentary also includes intimate accounts from their wives, revealing a story of love and resistance for justice. In the intimacy of their homes, the wives share in the unbearable presence of the absence of their men, and their daily battle to free them. Alberto Antonio Dandolo was born in Italy in 1985 and graduated with a degree in cinema and TV direction from DAMS, University of Roma Tre. Since the beginning of his studies, he has focused on documentaries dealing with social issues and cultural diversity. From 2008 to 2011 he collaborated with the CPA – Audiovisual Production Center, Uni Roma Tre. He wrote and directed the medium length documentary All Roads Head to Home (Strada di casa, 2010) investigating the social housing issues in Rome. 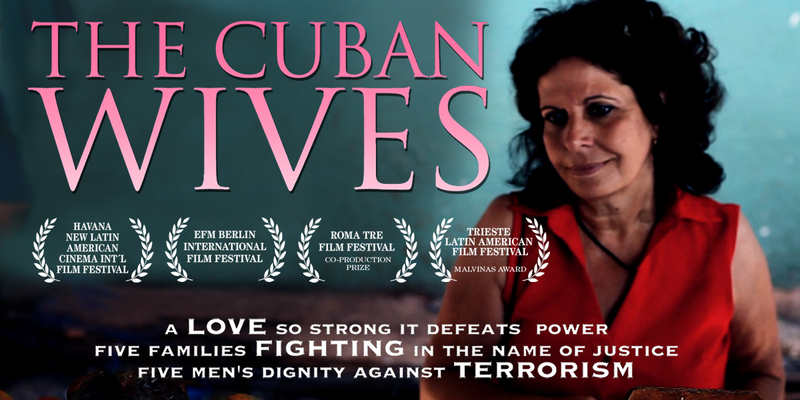 His next film, The Cuban Wives (2012) was presented at the 62nd EFM Berlinale, and was selected for various intentional film festivals such as Vancouver, Toronto, Minneapolis, Bogotá, and Havana. In 2013, Alberto founded Mimesi’S Culture in Berlin with the aim to produce and to distribute creative documentaries. He released Aeterna (2014), A Burning Dream (2014), and Jazz for a Massacre (2015), which was selected to Annecy International Film Festival, among others. Alberto is also the co-author and producer of Postcards from Ukraine, a feature length documentary centered on the crisis in the Ukraine. 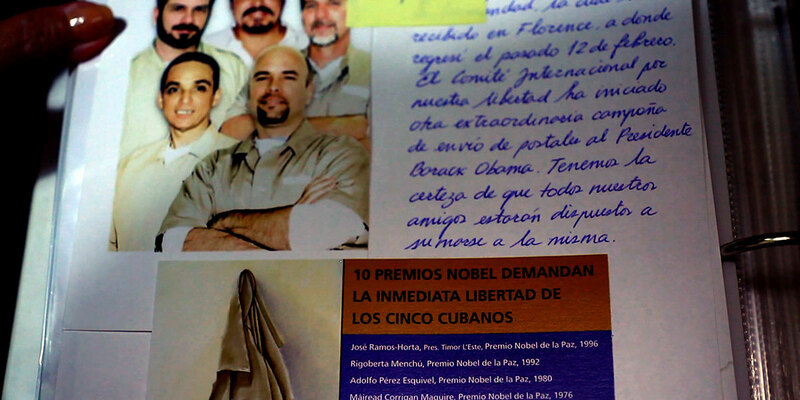 The first time I heard about the “Cuban Five” was in May 2010. The democratic jurist Fabio Marcelli (I.S.G.I. – CNC) invited me to a meeting at the Cuban Embassy in Rome. The initiative was centered around the legal case of the “5,” especially around the situation faced by two of the wives who had not been given visas to the United States, and therefore were unable to visit their loved ones. When I met Rene Gonzáles’ wife, Olga Salanueva, and Gerardo Hernández’s wife Adriana Pérez, I was profoundly moved by their stories and decided in that moment that it was absolutely necessary to tell it. With their husbands absent for many years, Olga and Adriana were still living that unconditional and pure sentiment that each one of us hopes to experience at least once in life time: Love. and resistance. One of the main protagonists told me once, “When I do my job, my activities, I feel useful. When I close the door and I’m at home, I’m alone.” This sentence contains the essence of my decision. That little, tiny daily act would be neglected on a TV show, but for me closing the door and being alone is everything. The interior landscape of the protagonists is defined by these small acts in which I reflect myself, and even the audience, I hope. The wives welcomed me into their lives, letting me in step-by-step, taking up my presence, until turning me into their confidant. At the very beginning the interviews were to understand, then I stopped asking and I started listening. This intimacy allowed me to tell their stories with dignity. One of the risks telling a drama is to fall into the sensationalism, to turn it into a show and to generate to opposite effect, the trivialization. To avoid falling into this, I opted for an essential cutting and soft music – for that I need to be thankful to my friend and composer Mario Formisano (a.k.a. 4mx, Almamegretta). For the movie I used black backdrop, essential to me to close and open the curtains of emotions and stories. I even decided to walk away sometimes when the tension was getting too strong. Then I went around talking to people and see what happened around the protagonists’ lives. Today, the Cuban Five have been released; they came back to Cuba and to their loved ones. The perfect happy ending ever! !